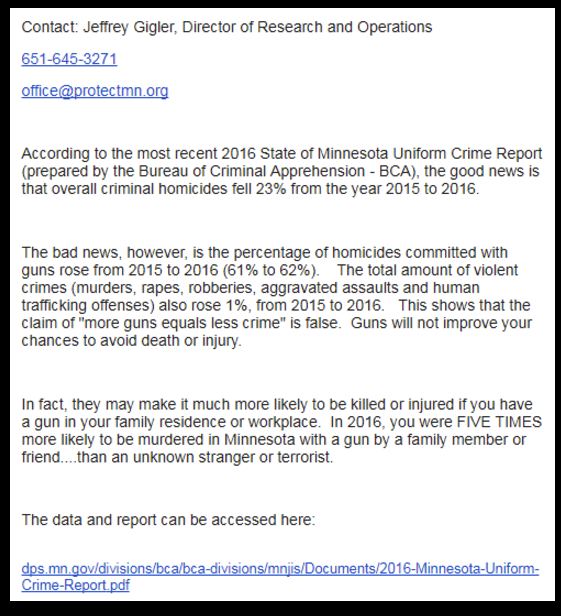 This entry was posted in Big Gun Control, Lie First, Lie Always by Mitch Berg. Bookmark the permalink. Most likely because the “truth” is whatever they say it is? one represents a group that pathologically lies about gun owners and knows their audience isn’t smart enough to know they’re being lied to. OK, so firearm homicides are down 22% or so as more people own and carry guns, so guns do not protect against homicide. Somebody’s got a little problem with their logic. Gigler knows that for his target audience math is hard, and he exploits that weakness. DG and her ilk would try to invalidate your whole post because you called him Richard when his name is listed as Jeffrey in he press release.